Is your name Dave? Eat FREE on August 1! 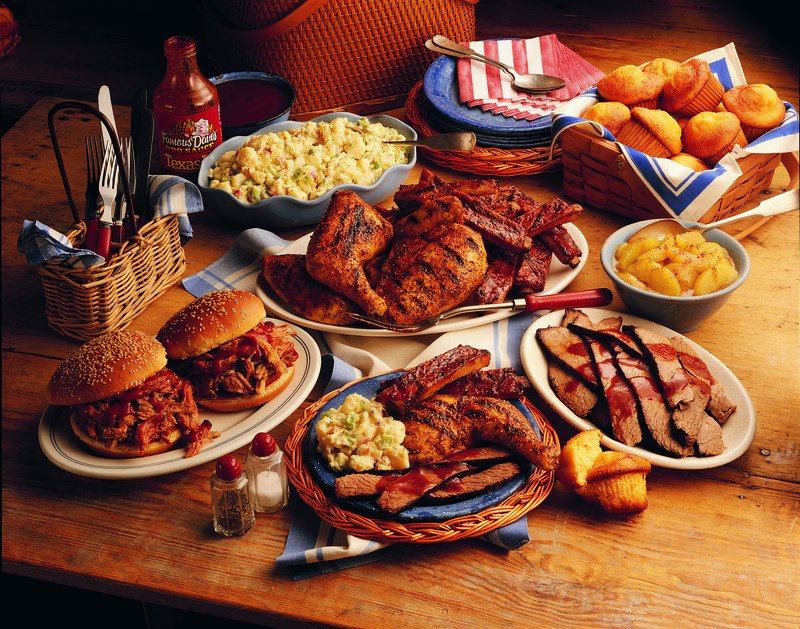 In honor of Dave Anderson, founder of Famous Dave’s of America, the legendary BBQ franchise, with more than 170 restaurants and growing on Sunday, August 1, 2010, anyone with the first name of Dave, David or Davy receives a Free Entree on this day. Maximum value $15. Anyone with a middle name of Dave, David or Davy receives a Half Price Entree. Maximum value $7.50. Offer valid dine-in or to-go. Must show photo ID. Moms & Dads, bring your little Wilbur (or Wilma) into Famous Dave’s at SanTan Village Monday – Friday from 11am-3pm and they can pig out on any item from our Li’l Wilbur Meals kids menu for ONLY $.99! And even better, we’ll take their picture with everyone’s FAVORITE SWINE, our very own Wilbur and send you a copy to your email! And we didn’t forget about you Moms & Dads! We have a great lunch menu with fresh from the garden salads, stuffed baked potatoes and, of course, Award-winning BBQ starting at just $6.79! Kids eat for $.99 with an adult meal purchased (limit 2 kids meals for $.99 per adult entree purchase), Monday-Friday from 11am-3pm. Famous Dave’s in the Valley are participating in Drowning Impact Awareness Month August 1st – 31st. Famous Dave’s in the Valley will be a pick-up point for the public to get their purple ribbons. Staff and Managers will wear purple ribbons throughout the month of August. Water Watchers and Phoenix Children’s Hospital, along with their sponsors, recognize August as Drowning Impact Awareness Month (DIAM). The reason that August is chosen is because the drowning and near-drowning incidents are increased. The purpose of DIAM is to educate and bring awareness to the importance of water safety. Purple ribbons will be distributed and worn in support of DIAM. LOCATIONS: Valley Famous Dave’s in Chandler at 3250 West Frye Road; Peoria at 16148 North 83rd Avenue; MesaRiverview in Mesa at 1011 Dobson Road and in Gilbert at SanTan Village at 2206 East Williams Field Road. www.famousdavesbbq.com. This entry was posted in blog and tagged FAMOUS DAVES. Bookmark the permalink.